On another post I was discussing about the idea about making another project similar to the NotWOG2 project in 2010. If anyone is interested just post here. If we get enough people we could create something pretty awesome. Anyone is welcome to join the project, we need as many members as possible! I'd like to join in (I might give up, but it'd give me something World of Goo related to work on). As of now, I'm creating a level to upload to the website, to give it some life. 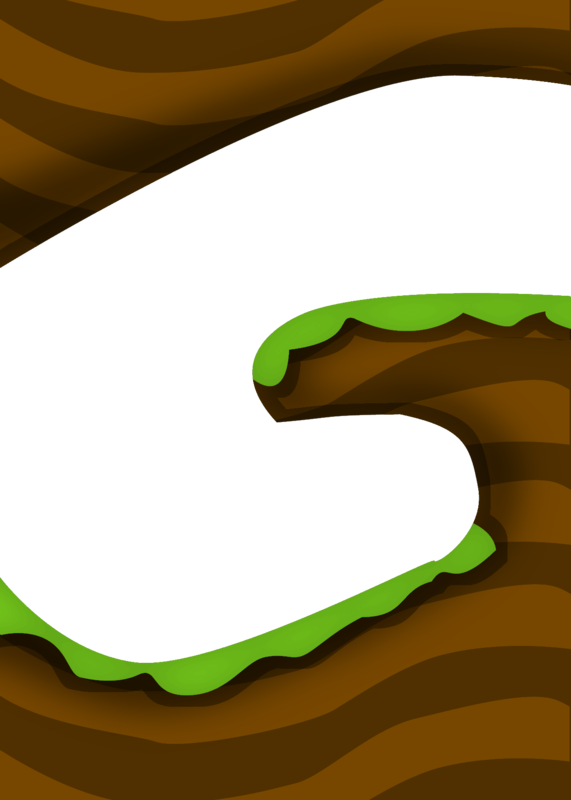 EDIT: I might try making some custom World of Goo art. DOUBLE EDIT: The level is finished. Also, http://i.imgur.com/zv82kPW.png . I'm on board! I already came up with another species of goo! Would 2D Boy really publish it? That would be so cool! Wow! That graphic looks amazing! That's actually a really cool idea! Hoo boy. This one took a while, but I love how it turned out. We need to figure out who is going to do what; for example one member may do graphics and levels, another member does music and graphics etc. I can do some levels and some basic graphics, and maybe some gooballs. From what I know, you can't make a goo ball be static when attached. It's either static or nonstatic. However, it's definitely possible to make a goo ball rust. EDIT: While they won't be static, I have an idea to suspended them in the air. I think I can be in charge of creating goo balls (to be as accurate as possible) and turning level sketches into the art style of World of Goo. Sounds good. I might add a list to the top of the topic of all the members of this project and how they are contributing. Does anyone have any ideas for the first chapter? I haven't thought of any yet. If we come up with a good idea, we can start making levels. All I can really think of is a story where goo balls crash land on a planet, and have to explore it to repair a rocket. Meanwhile, the goo discover new species and dark secrets or whatnot. We could, except I doubt we all live in the same area (Although I do believe it shouldn't be too hard to communicate with Billy2000 and AtomicBinary (At least I think that's their name). To answer your edit (I have to admit I answered this surprisingly fast), I doubt we could get 2D boy to publish our goomod, let alone get ahold of them (but it might be still possible. EDIT: Just asking, do we have an official story yet? That sounds like a good idea! Should this be for the first chapter? It is for the first chapter. I also recommend making gooballs look like iterations of common goo, or some sort of messed up goo. All the goo balls have been sucked up and turned into drained goo, so I think it'd make sense if all goo balls in the first chapter resembled it. This looks like a cool idea! How can I help with it? Well, maybe you can make goo ball concepts and level designs? I'm not too sure. Just look at what other people have decided to do, and do something similar. By the way, you could help with the story. Okay, I'm not really good at making gooballs, but I can start thinking of some ideas for levels. Yeah, I'll add you to the members list. You can help in any way you like. I almost interjected until i read your earlier comment. So iin essence they're now yellow goos that become regular black goos when they come into contact with water. Once again, excellent job man! You are fantastic! Both of these ideas sound good, it's gonna be hard to choose which one we're gonna use. EDIT: It would probably make more sense to use Jim2102's idea because in the final cutscene of the original game it shows the gooballs from Regurgitation Pumping Station flying into space, which makes it feel like the story of the original game isn't complete, so it would make more sense to reveal where they went. So, my story is the first chapter, and you story is the second chapter? Seems like a good compromise. I might start making a few levels for both chapters. I'll send some screenshots when I'm done or post them on GooFans. I think .SlipKnot._2_2 might do some music. I don't guarantee this, but they might. That would be good, it would be nice to have fan music too. I just realized, there are five people, and five chapters. If we finish the story, we could have one member make one chapter. EDIT: I think the person who's making the first chapter finish that first, then the person doing the second chapter does that, and so on. Mainly so there's a goo ball consistency. Ok ok ok, going off of gooey goo's idea, the goo balls from rps end up on the goo planet. Now the gooballs are trying to all band together to build a giant tower. Why? So they can build all the way to the world of goo so they can take the goos still there with them. Obviously one planet of goos isn't enough to make it back home, so they build up to new planets along the way to pickup new goos to keep on going.